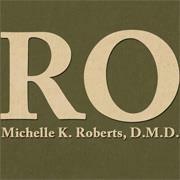 At Roberts Orthodontics, we believe in creating an individualized treatment plan to address your unique needs, and to provide that treatment in a comfortable and caring environment which will allow you to thrive. Our emphasis on creating a customized care plan is possible because of the many treatment options we provide. From traditional metal braces and Clarity'¢ clear braces to clear aligner treatment with Invisalign ®, Invisalign Teen ®, and ClearCorrect'¢, we can help you achieve the smile you've always wanted.